I found 3 recipes that I LOVE! 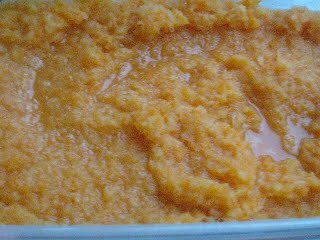 And they can all be put in the freezer so you can make them in bulk and eat at your leisure. 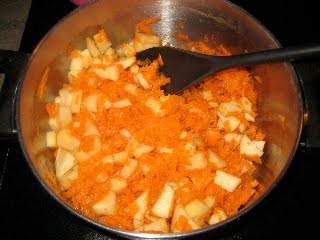 I used 4 pounds of carrots to do all 3 recipes, and that only got me 2 meals worth of glazed carrots. NOT ENOUGH. 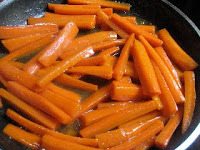 CHOOSING YOUR CARROTS - Be sure to buy carrots that don't look like they're growing. If they are sprouting from the top, or have a lot of hair, they have probably been sitting around awhile. 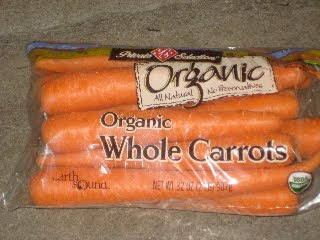 Also I personally don't buy peeled and cut carrots because I don't think they taste as good. 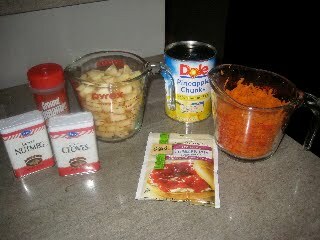 Here is the basic recipe, you can double, triple, etc. Wash carrots and cut into spears. The smaller they are, the faster they'll cook. Put them in a pot with a small amount of water. These freeze great! 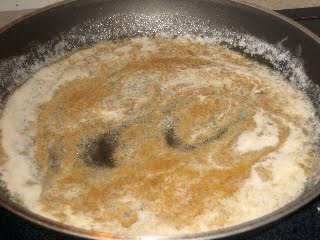 Reheat in microwave or on the stove. I just happened upon this recipe. They said it was an award winner so I gave it a go. It's AMAZING! This could be Christmas gifts this year!! 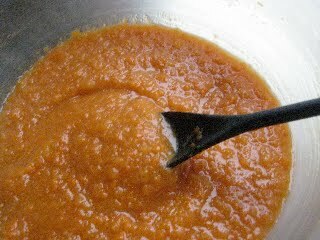 Stir sugar, pectin cinnamon, cloves, and nutmeg until well blended and set aside. 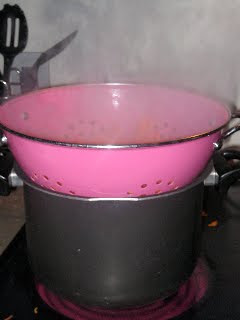 Transfer into blender (half at a time) this is much easier than using a potato masher!! 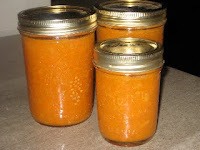 Refrigerate up to 3 weeks or freeze for a year! This is seriously good! Slap a bow on it and it's an awesome gift! 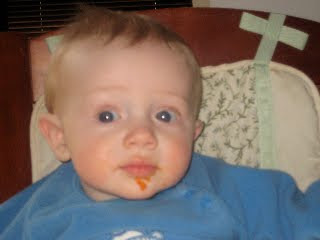 I would suggest using organic carrots for baby food. If you don't, make sure to wash and peel them, and of course wash any equipment you use. 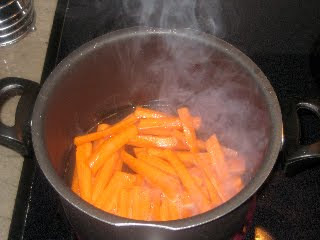 ---If you are doing the glazed carrots you can also throw those in here as well to get them both done. After it freezes solid transfer to freezer bag. This is my boy deciding whether he likes it or not....lol He's still unsure. I've done the same thing with our carrots. Nice job! 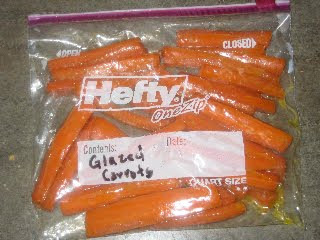 Ok, you sold me on the glazed carrots. 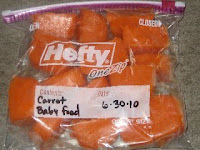 My fiance is deployed for a couple of weeks and he's the one that usually eats bags of carrots. I bought some not thinking he was gone and now I need something to do with them. Great ideas. Thanks!